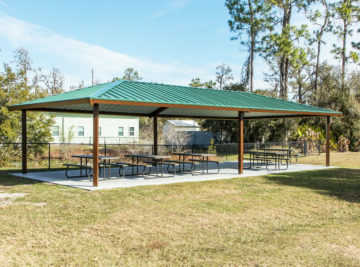 We stock and sell a variety of outdoor park and site amenities including benches, picnic tables, trash receptacles and more. 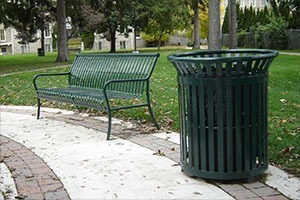 No outdoor space is complete unless there are places for people to sit, places for trash to be kept and areas where we can socialize. 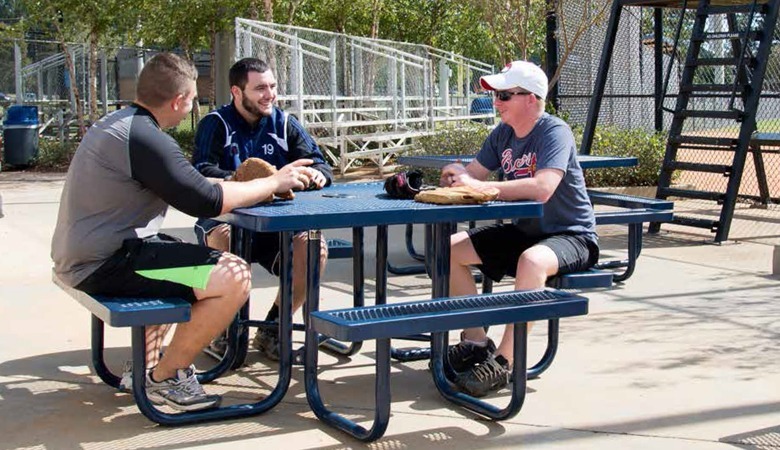 When you choose outdoor furniture from Pro Playgrounds, you choose picnic tables, park benches, trash receptacles, grills, bike racks and/ or other site amenities that are of the highest quality – and at the best prices, too. That’s because our first priority has always been giving our customers the kind of long-lasting commercial furniture that is durable, comfortable and affordable. 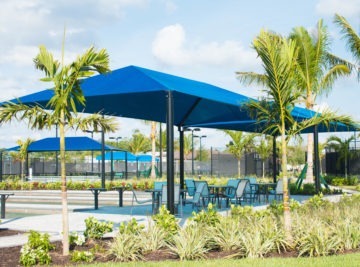 All of our site furnishings and site amenities are made in the USA of commercial grade materials, designed to last a lifetime. 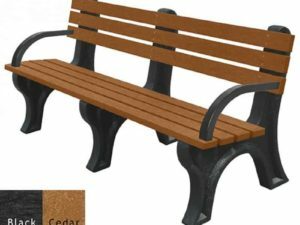 Hundreds of different designs of picnic tables, park benches and trash receptacles available in a variety of colors and finishes. 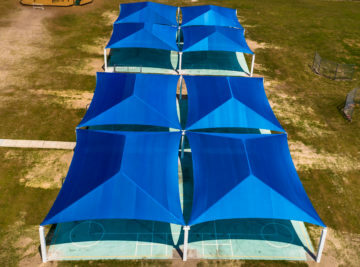 Our site furnishings are available in a variety of coatings and colors all of which have excellent UV and weathering resistance. We provide guaranteed hassle free professional installation by our licensed and experienced site furnishing experts. 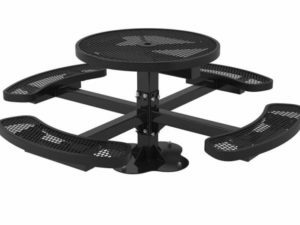 No playground area or outdoor space is complete without the proper site furnishings to make it comforatble and practical. 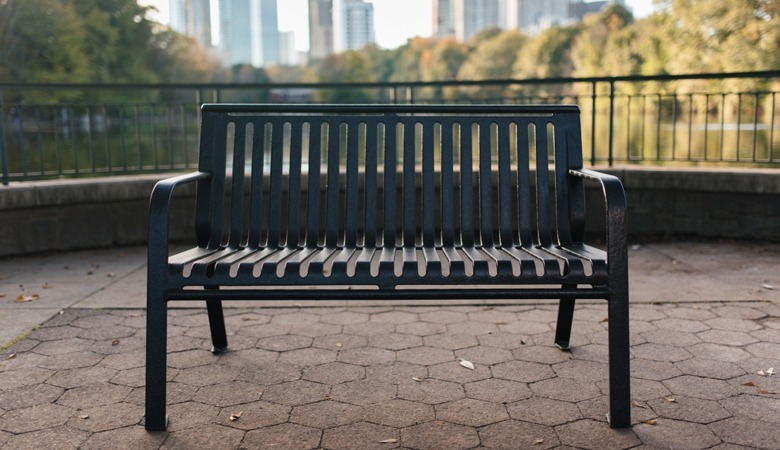 Froma comfortable bench or seat to take in the views from to picnic tables and grills for outdoor events, we install the site furnishing products you need the most. 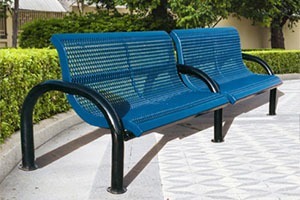 Commercial benches in both metal and composite materials. 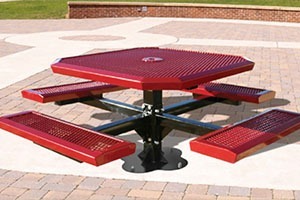 Commercial picnic tables in a variety of configurations. 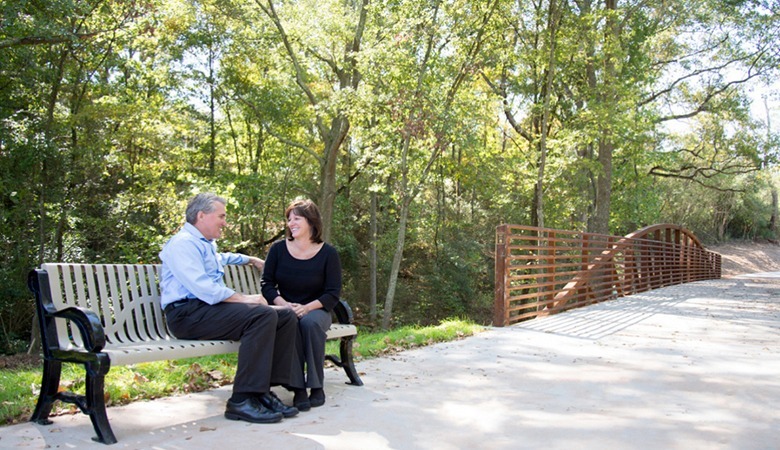 Bike racks, outdoor grills, flag poles and more. We provide the kind of craftsmanship that lasts. 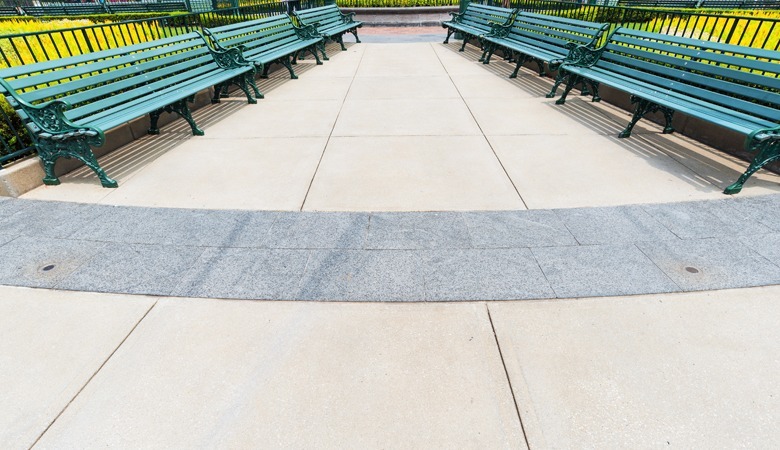 In all of our site amenities, we use the highest quality of raw materials and strive for superior workmanship from beginning to end. 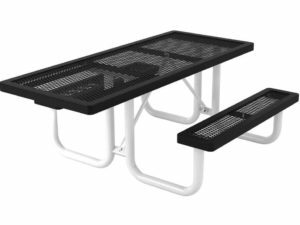 We’re also proud to be the only company in our industry that provides both traditional plastisol coating and textured polyethylene coating for out tops and seats. Our variety of more than 13 styles of tops and seats includes everything from high-end models with comfortable seating to economy models that offer practical, yet comfortable, seating. We work hard to surpass our competition in the areas that are not only important to our company but also to our customers. Providing you with the best prices and superior customer service is our goal. 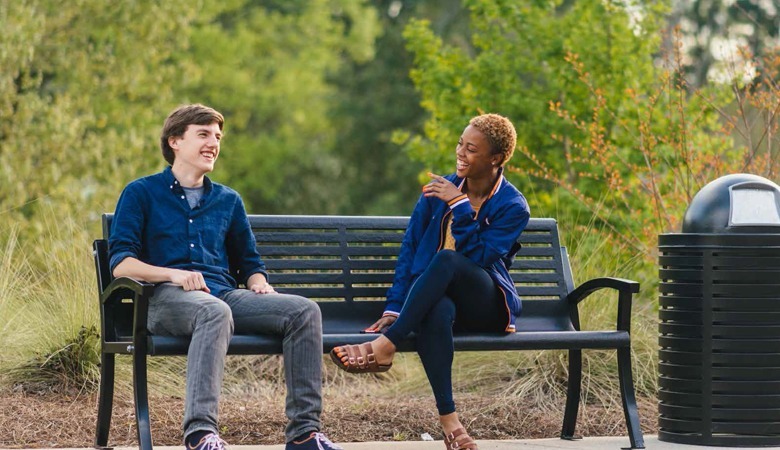 Thanks to a catalog of more than 1,000 products in different styles with an array of color choices, we’re here to give you exactly the outdoor furniture you need. 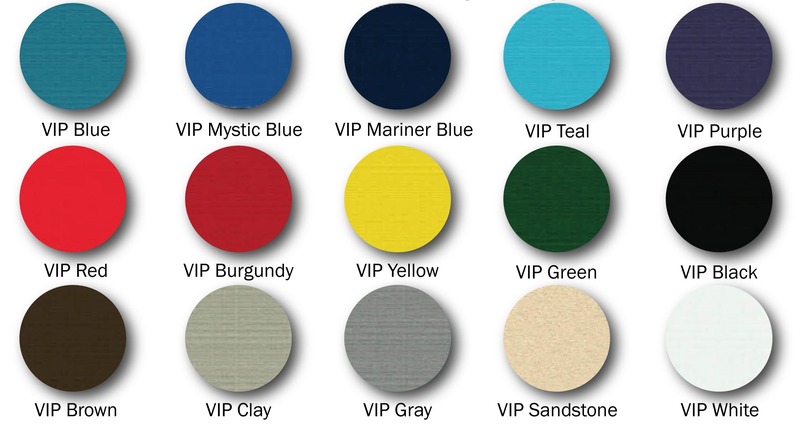 With our help, it’s easy to achieve the distinctive look you desire for your outdoor picnic tables, park benches, etc. Check out our catalog or contact us today to learn more! 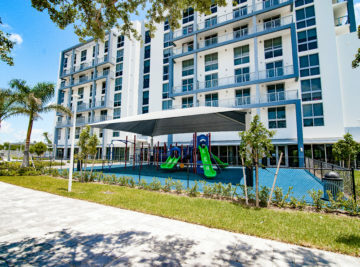 All Pro Playgrounds thermo-plastic, PVC coated products have limited warranty to the original purchaser of the products to be free of corrosion on seats and tops that results in bare metal exposure for a period of 5 years after the date of purchase, excluding any corrosion that may be the result of vandalism or intentional stripping of any of the coating. 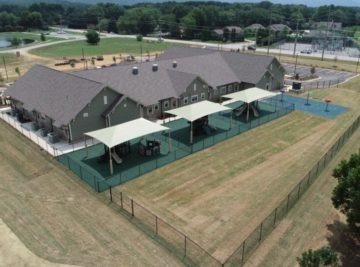 Pro Playgrounds structural supports for tables and benches have a limited warranty to the original purchaser to be free of rust outs that would compromise structural integrity for a period of 5 years after date of purchase. Surface rust or cosmetic paint deterioration is excluded. 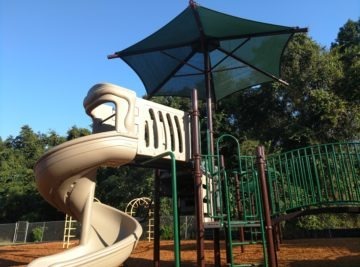 Pro Playgrounds products not listed above have a one year warranty on workmanship and materials when installed and maintained properly. Items not covered under warranty include acts of God, normal aging, weathering, and public abuse or vandalism. Claims for defects must be accompanied by copies of the original invoice or invoice number. 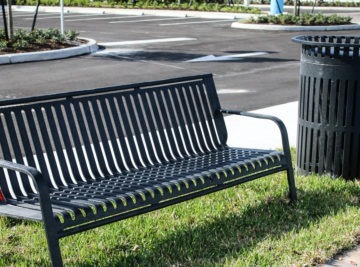 A one year limited warranty is offered on steel, recycled plastics, and wood site furnishings. Wood products are subject to weathering, cracking, splintering, and insects and are not covered in our one year limited warranty. 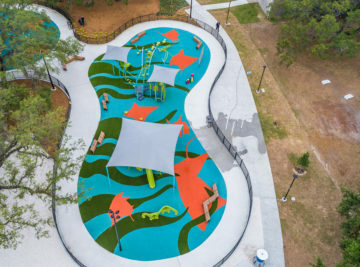 Cancellations and returns must be approved by Pro Playgrounds and an authorization number, issued by the SRP Customer Care Department, must accompany the return. All returned items must be carefully packed and received in a condition that allows for easy identification and sale of product. A restocking fee of 25% will be applied to any returned item not in error of Pro Playgrounds. 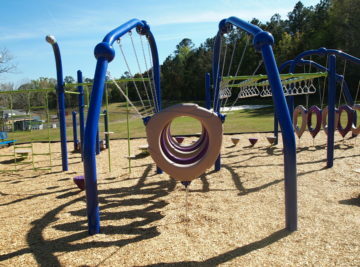 Pro Playgrounds may assess an additional handling fee of up to 15% if condition of returned item is in disarray or item is in a non-sellable state. NOTE: lt is the customer’s responsibility to verify the delivery ís for the correct product, count the number of pieces being delivered and inspect for damages PRIOR to signing the proof of delivery provided by the driver. All discrepancies or visible damages MUST be notated on the delivery receipt. All delivery discrepancies including damages must be called into our Customer Service Department listed on the delivery receipt within 72 hours of delivery. We DO NOT guarantee replacement parts or product FREE of charge due to concealed or unreported damages. Pro Playgrounds is the only company in our industry that offers the two industry standard coating for outdoor furniture and Pro Playgrounds. Plastisol, the traditional coating, is a liquid PVC. Product is dipped in plastisol and baked, creating a hardened surface. Polyethylene, a powder, is placed in a fluidized vat where the product is dipped and then baked. 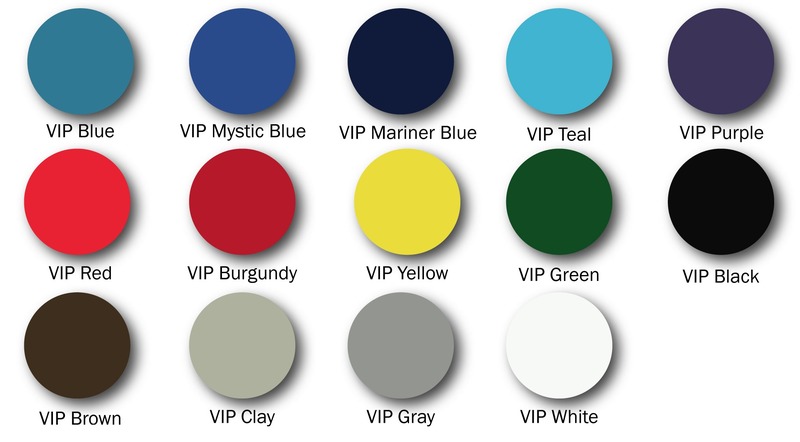 You may choose a plastisol or polyethylene coating for your Pro Playgrounds product. All frames are coated with a highly durable polyester powder coat. Textured polyethylene is available for all products at additional cost. See below for a list of products that are only available in textured polyethylene. 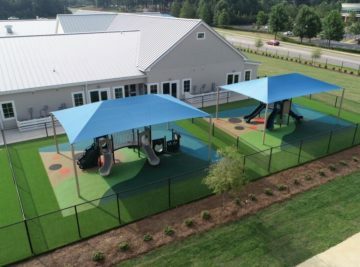 Pro Playgrounds is the only company that puts a 90% gloss shine on our plastisol products. Not only does our gloss enhance the overall look of our product, it also helps with UV protection. In addition to our 90% gloss shine, our plastisol products have a smooth surface. While our competitors’ products have a porous surface that is susceptible to stains and dirt build-up, Webcoat’s plastisol is completely smooth which acts as a stain repellent and helps prevent dirt build-up. Traditionally, Polyethylene is very easily scratched and marred. Unfortunately, it is difficult to fix a scratched or marred surface on polyethylene. By using a textured surface, Pro Playgrounds has eliminated this problem! Our textured polyethylene coating helps hide the scratches and mars, while keeping the product looking better longer. Unlike Plastisol, polyethylene leaves no drips on the product. Form meets function with our beautifully designed commercial grade metal benches and seating items. 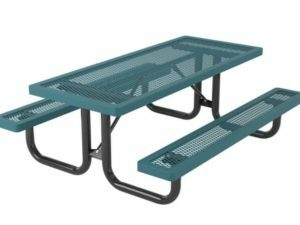 Our commercial picnic tables are available in a variety of designs and configurations to meet your needs. 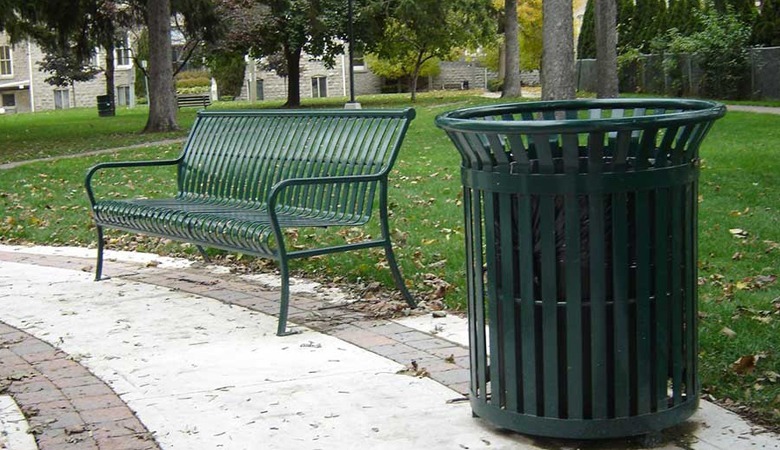 Our commercial grade trash receptacles will add beauty to your space affordably and keep it clean. 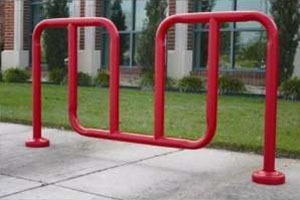 Our commercial grade bike racks and convenience items are great addition to any outdoor space. 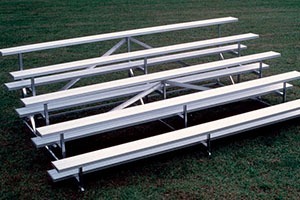 Our bleachers and commercial outdoor seating provide comfort and luxury to families and spectators.